Can cloud seeding—dispersing particles into the air with the aim of increasing precipitation—increase snowfall? This week, a team of researchers began a cloud-seeding project in southwestern Idaho to answer that question. Cloud seeding is a process by which artificial ice nuclei, such as silver iodide particles, are released into clouds, either from the air or via ground-based generators. The Idaho project, funded by the National Science Foundation (NSF) and dubbed SNOWIE (Seeded and Natural Orographic Wintertime Clouds—the Idaho Experiment), will run from January 7 to March 17 in and around the Payette Basin, 50 miles north of Boise. "Scientists are still uncertain about cloud seeding for increasing precipitation, despite ongoing operations around the globe," says Nick Anderson, program director in NSF's Division of Atmospheric and Geospace Sciences. 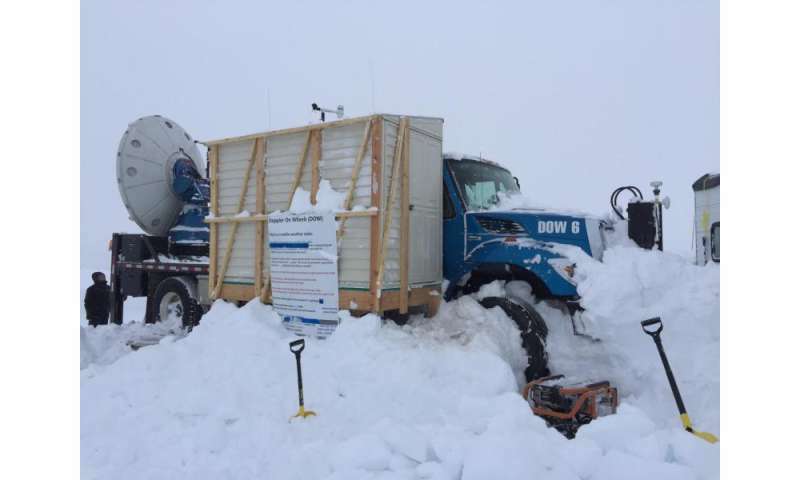 "SNOWIE is the most comprehensive study to date on cloud seeding in winter." Snow from winter storms develops when ice crystals form on dust and other particles known as "ice nuclei." In many storms, the lack of natural ice nuclei at warmer temperatures results in less precipitation. In addition, weak updrafts in clouds and other factors limit the ability of ice nuclei to form. In some areas affected by droughts, cloud seeding may increase mountain snowfall and, ultimately, water supplies for communities and for crop irrigation. Water resource managers, hydropower companies and agriculture businesses usually pay for the practice, seeing it as a potential way of alleviating water shortages. "SNOWIE researchers have an array of advanced instrumentation and modeling to focus on the fine-scale aspects of clouds to determine whether seeding operations are resulting in precipitation enhancement," Anderson says. "Improved information about cloud seeding, and winter precipitation in general, is especially important for water resources, such as those related to hydropower and for agriculture." SNOWIE researchers, led by atmospheric scientist Jeff French of the University of Wyoming, are working in concert with the Boise-based Idaho Power Company, which obtains a large amount of its power through hydroelectric dams. The company is covering the cost of cloud seeding and some instrumentation. "Idaho Power is interested in putting more snow on the ground in the mountains, which leads to more water in rivers from snowmelt," says French. "In turn, that leads to more power generation capability throughout the year." 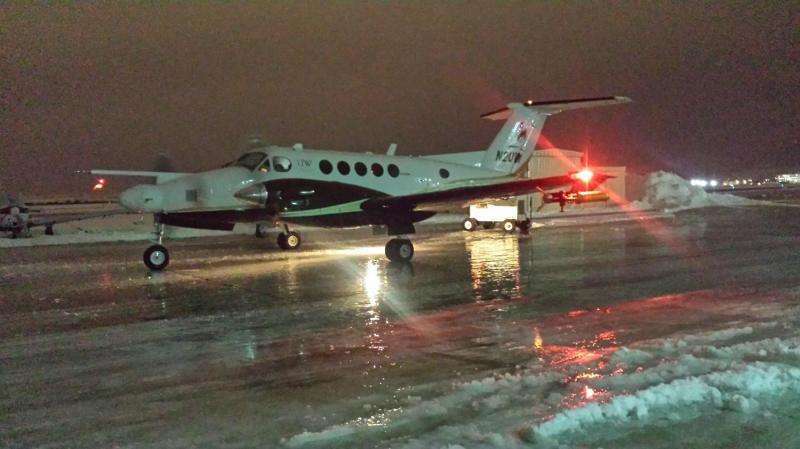 Researchers aboard an aircraft provided by Idaho Power will release silver iodide into the atmosphere, while scientists on the NSF-funded University of Wyoming King Air plane will take measurements to help understand the effects. The King Air is a twin turbo-prop aircraft designed and used for atmospheric research. 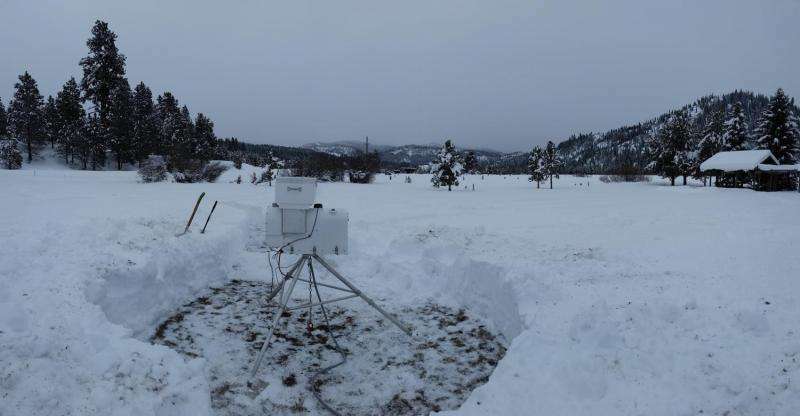 Along with University of Wyoming researchers and the Idaho Power Company, scientists at the University of Colorado, the University of Illinois at Urbana-Champaign and the National Center for Atmospheric Research (NCAR) are participating in SNOWIE. The project has a series of intensive observation periods, during which the researchers will obtain measurements while cloud seeding is happening and when it's not. "Part of understanding seeding is understanding the natural processes of a winter storm," French says. "It's important to be out there during a storm's evolution to take measurements even when seeding is not occurring." While much of the research will take place aboard the King Air, some will take place on the ground. The team will model precipitation using the Cheyenne supercomputer at the NCAR-Wyoming Supercomputing Center. The models will simulate clouds and snowfall—created in natural storms and with cloud seeding—over the Payette Basin. "Results from SNOWIE will lead to a new and important understanding of cold-season precipitation—both natural precipitation and precipitation augmented through cloud seeding—and will have an impact throughout the American West, a region that increasingly suffers from drought and water shortage," French says.